Day 7: Welcome to the Willamette Valley! Adventure, the great outdoors, and near-certain death. It was an interesting day. After Wild Bill Rictus shot poor rekard, the party decided it was time for a short reprieve. Where could you get a beer around here? Anzig pointed out a small sign nailed to a tree that said, "Ye Ole Saloon 1/8 mile ---->." That was good enough for you! RaveBomb had a few too many and fell asleep at the bar. Sensing an opportunity, a handful of you banded together to put an end to RaveBomb's journey. Unable to defend himself, he was an easy target; one good barstool thwack to the temple and he was dead. Then you all started to notice something rather odd about this pub. Were there so many cats in the pubs back home? It had been so long, you couldn't remember. No, something weird was DEFINITELY going on. The feline population here outnumbered the humans 5 to 1. Slowly and deliberately, the cats began weaving their way under the tables and chairs. Some even paused a moment to brush their bodies against a leg here and there (they particularly seemed to like Jrsthethird). A low, ominous growl could be heared as the felines got nearer to sphenodont and stopped at his feet, surrounding him. An especially beautiful calico cat hopped onto his lap and let a out bloodcurdling caterwaul. The bartender came out from her station and put a hand on the screeching calico's back. "Shhh, darling. I know you're hungry." She then lifted her gaze to sphenodont. Her eyes were cold and unfeeling. You'd never seen rhinestone cat ears look so terrifying. She snapped her fingers, and her feline companions swarmed over sphenodont. The combined sounds of sphenodont's screams, his flesh tearing, and the cats greedily devouring him were too much to take. You immediately left as quickly as your feet could take you. You wanted to look back at sphenodont, but didn't for fear of what you might see. No one even mentioned stopping until you got to Oregon City. Rictus was on the ground, blood oozing out of gunshot wound in his forehead. He had been shot with his own gun. In all your celebrating, you hadn't even heard the shot over your cheers. 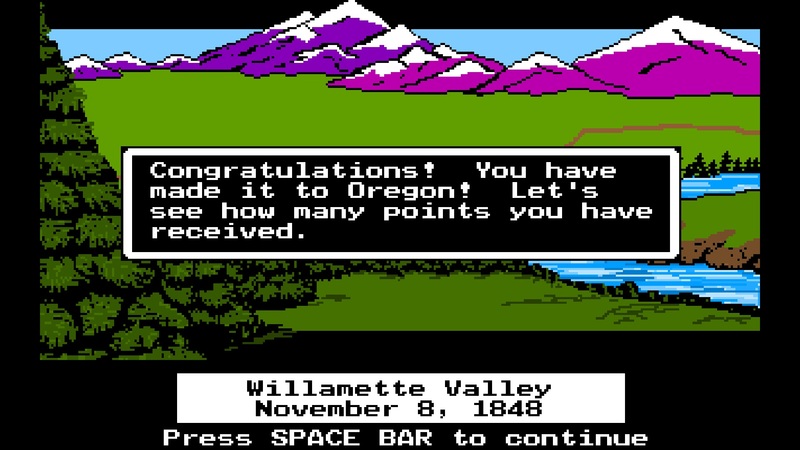 Re: Day 7: Welcome to the Willamette Valley! It's now time to elect a Sheriff. The Sheriff's vote counts double, and they also get a vig shot. - Once per day, the town may elect a new Sheriff. Any player can suggest a new sheriff/election at any time. - Sheriff will be elected by majority vote. Once a player receives enough votes for a majority, they immediately become Sheriff and cannot be stripped of that title until the following day. - Voting for Sheriff is NOT mandatory, but ONLY a majority can elect a new Sheriff. Ties will be left undecided. - The Sheriff's vig shot is a one-time occurence. Once any Sheriff takes the shot, the gun is empty, and there are no shots left for any subsequent Sheriff. Wow, dropping like flies. Four people died yesterday. At least we made it! Or at least a half-dozen of us did. It's down to brass tacks time. Here's what I'm thinking right now. - Aldax still seems quiet wolfy to me. - Anzig has gotten remarkably few votes this game. This makes me a bit suspicious, need to see why that was. vote from yesterday for now. Asbath, jrsthethird and Jehos feel human based on differing things. Jrsthethird's seemingly human reaction and Ryvvn's reaction to Omega's reveal are points in his favor. Anzig and Aldax were mentioned in this post by Admetus. Admetus wrote: Looking human-ish: sphenodont, Jrsthethird, and Aldax pushed him out front from ties. Twdog caught him up from behind into a tie again. Looking wolfy: DOM, Admetus, Rictus, Anzig, Blindsniper pushed other wagons to compete with the wolf wagon. We know everyone on the "wolfy" list so far is human with the exception of known wolf Admetus and unknown Anzig. The human list we know less about with only sphen and twdog being revealed. Wolves often try to hide their guys in their lists, so did he put Aldax on the human list to hide him? Points in Anzig's favor: Ryvvn pushed Anzig the day after we lynched Admetus. Knowing what we know now - there were two wolves at the time - that seems pretty risky. The following words in your search query were ignored because they are too common words: Aldax. I haven't done a real look at the votes though to see what's there but I don't know how good I am at that since last night I was checking votes and was like, "Aha, it's Gugnir!" and then I saw he died which kind of threw a crimp in my analysis. I can't really get a read because he's been so quiet. Anzig's quietness (not sure if that's his style) might just be a wolf/human trying to stay below the radar. because they took the "Aldax may be trying to low-profile it" and ran away with it (I need to check the other threads to see if there's been a lot of bandwagon following going around). Of course, I'm also wary of JRS3 which was the one who first put the idea out there. Mr. E could have easily saved himself (he did make it a 3-way tie at 3 votes), so he had the opportunity to come back late and pile on rekard to save himself. rekard seems wolfy to me too (he's waaaay too quiet this game; I'm not the only one who's noticed). Perhaps they're both wolves and he wanted to leave the 33% chance of lynching a human instead of checking back to snipe rekard? Aldax also denied the opportunity to break the tie and lynch someone by throwing his last vote on Anzig. What is it with Anzig, drawing all the odd votes? The first analysis was wrong, seeing that rekard flipped human. However, there's still something to be gained here. If MEM were a wolf, I don't think he would have changed his vote, but the last vote of the day -- Ryvvn (who was ok pushing another human to tie the wagons again at 4) would have almost certainly voted rekard to save MEM if MEM were a wolf. I think that puts MEM more human than not. I'm still pretty confident asbath is human. I also don't think two wolves would pile on a human to tie a wagon like this, so that's human points for MEM and Jehos. That leaves Aldax and Anzig. Aldax voted Anzig (2nd vote, late in day), Anzig was an earlier vote on a leading wagon. It does look weird to have a leading human wagon with all humans on it, but with 3 wagons and only 3 wolves left, it's not only possible, but guaranteed here (as Admetus had a singleton on Blindsniper that day). But two wagons, all human on human? Almost too good to be true, for the wolves! Enter Aldax, throwing his late-day vote on Anzig (blaming random.org), guaranteeing he is not suspect for pushing a human into the lead. Now, there is a case for a human Anzig to have made a similar decision (not having enough info to make an educated guess), just as there is a case for wolf Anzig (having perfect info and not wanting to raise suspicions). I'm banking more on the latter, knowing that the earlier case isn't something I'm comfortable with having around in this stage of the game. I guess my thoughts have't changed since yesterday, despite the flurry of deaths. We've got one wolf each on zark and ryvvn for day one bandwagons. It would make sense to see on on neckless as well (before zark & ryvvn pulled their 'save themselves' bit). before and I still think that's a reasonable choice. I wish we had more discussion on this though as I feel like it's been really quiet. It's almost enough to make me miss rekard trying to kill me daily. just a reminder to consider nominating a sheriff. If a sheriff is elected, their powers take effect immediately. The most human to me out of the other five. You're getting us all killed!